The ecosystem of the human body is an intricate and delicate balance of cells and microbes including viruses. The community of viruses is known as the virone. When this system is out of balance the body will express itself in recognizable symptom pictures either acute or long-standing. 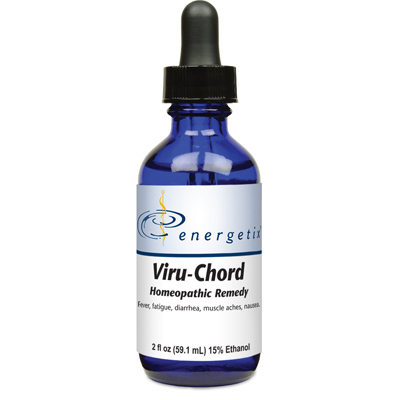 Viru-Chord is a homeopathic combination formula for symptoms of fever, chills, fatigue, headache, coughs, nausea, diarrhea, swollen glands, sore throat, muscle aches.